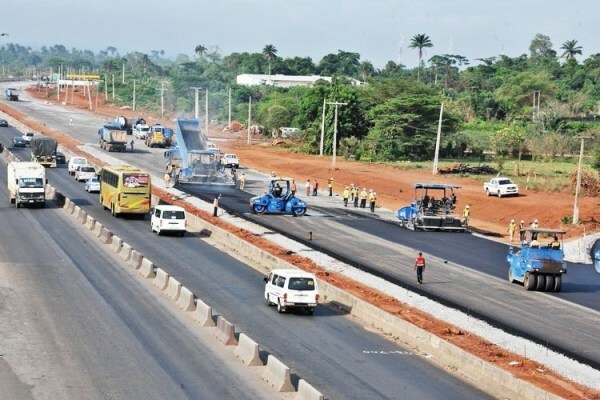 The Federal Government has approved the commencement of work on the section of the road linking Nigeria with Seme Border with Republic of Benin, the Minister of Power, Works and Housing, Mr. Babatunde Fashola SAN, disclosed in Lome at the weekend. Fashola, who stated this at the 12th Ministerial Steering Committee and Experts Meeting for the Abidjan-Lagos Corridor Highway Development Programme in the Togolese Capital, however, said the project would be done in a flexible way in order to improve commuter service while also making it adaptable to the results of the feasibility and technical studies. The Minister, who is also chairman of the Ministerial Committee overseeing the project, expressed delight that while the personnel of Presidents and Ministers who launched the initiative have changed, the commitment to the project has not changed adding that the Committee had now put in place a system where meetings were now being held Quarterly. According to him, “From a period between 2013 – 2016 when no meetings were held because of changes in Government and personnel, we have now put in place a system where meetings are held Quarterly”, adding that this had enabled the Committee to overcome the problems of signing treaties and loan agreements which dragged for a while but which happily have now been completed. Pointing out that feasibility, technical, financial and related contracts which seemed so far from conclusion have now been signed, Fashola paid glowing tribute to the founding Presidents of the Committee for their vision of choosing “to go far as a team rather than going fast as individuals”. “Going together, therefore, means working as partners, recognising and respecting each other’s sovereignty and Governmental processes as well as diversity of languages. Therefore, while the personnel of Presidents and Ministers who launched this initiative have changed, the commitment to the project has not changed”, the Minister said. Expressing appreciation to the President, the Minister, the Government and the people of the Republic of Togo for hosting the 12thMinisterial Steering Committee and Experts Meeting for the Abidjan-Lagos Corridor Highway Development Programme, Fashola also thanked his colleague Ministers, Experts, Participants and Distinguished guests, describing as “brilliant and illuminating” the various speeches earlier delivered by the Ministers at the event. “It makes my job as Chairman and last speaker very easy because they have covered the field admirably and no useful purpose will be served repeating what they have said about the history of the project, I adopt their speeches as my own”, he said. While hosting the 9th Ministerial Steering Committee & Experts Meeting for the Corridor in Abuja last year, Nigeria’s Vice President, Professor Yemi Osinbajo emphasized the importance of the project describing it as a strong testimony to the strong relationship among countries of the Economic Community of West African States (ECOWAS). The Vice President said although the principal stakeholders live in different countries, speak different languages and spend different national currencies with varied economies, they pursue common goals, making progress in the development of their countries and the sub-region and ensuring that all of their people enjoy ever increasing level of peace, prosperity and security. Describing the Abidjan-Lagos Corridor project as one of the flagship projects of the entire ECOWAS enterprise, the Vice President declared, “We believe it would promote regional integration, enable tourism and other forms of economic activities in the sub-region and create the much needed job for our large youth population”, adding that connecting West Africa by means of an efficient road network was one of the easiest and most direct ways of boosting local and international economies and by extension, regional economies of the West African sub-region. said the Federal Government under the leadership of President Muhammadu Buhari was fully committed to the realisation of the project adding that Nigeria’s recent ratification of the treaty on the project was a clear demonstration of that commitment. In his own address, Fashola, who described the project as testimony of the strong bond among the ECOWAS countries to pursue common goals and aspirations to ensure the development of the sub-region both in terms of standard of living for the people and the level of communication between the countries adding that the development of the Corridor would enhance rapid integration that was already existing in other economic blocs of the world. It will improve socio-economic activities among the West African countries. Noting that road development drives economic growth, the Minister expressed the urgent need for the West African Sub-Region to pursue such development “to keep abreast with the fast growing economies in Asia and South America with a view to reducing the migration of our youths and also keeping our precious human capital on the Continent”. He again reiterated the commitment of President Muhammadu Buhari to the realisation of the Abidjan-Lagos Corridor “for enhanced trade and communication within the sub-region” adding as a demonstration of that commitment, Nigeria has signed the financing agreement which was one of the outstanding issues of the past.